To be done with all this measuring of truth." The end of the convict era and the subsequent arrival of waves of immigrants from around the world is also reflected in the execution data. 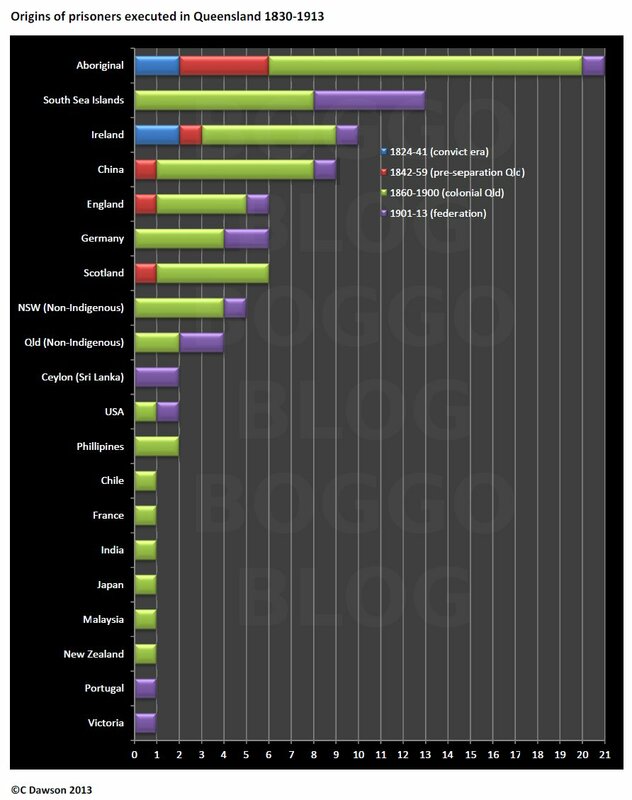 The influx of Chinese labourers to work in regional Queensland during the early 1850s saw a spike of Chinese men held in Brisbane prison during that time, accounting for as much as 40% of prison expenditure in 1851. This was largely a result of workplace relations conflict between the immigrants and their new bosses, not to mention an ever-present backdrop of racist hostility towards non-white immigrants. 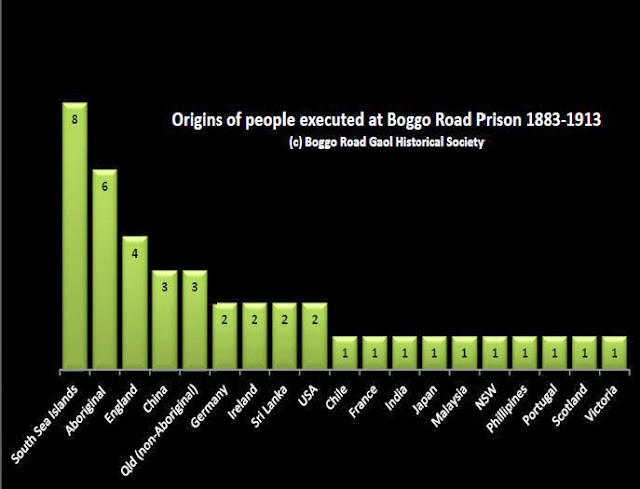 As the chart below shows, a total of nine Chinese men were hanged in the colony, comprising about 10% of the overall total. There was a great deal of unfounded paranoia in white communities regarding South Sea Islander crime, and prison authorities took to bussing in labourers from various plantations in the vicinity of Mackay, Bundaberg and Rockhampton to act as reluctant witnesses at the Brisbane executions of their countrymen. The intent was to make sure that word got back to the plantations and so help reduce capital crime rates. It is interesting that during the 1850s, the authorities had all-but abandoned notions that public hangings had a deterrent effect on witnesses, and introduced private executions instead. It seems that the rule was only applicable to white people (enforced viewing also occurred at a number of hangings of Aboriginal men). The introduction of the White Australia policy in 1901 saw most South Sea Islanders returned home during the following decade, although some remained and more hangings did take place in Brisbane, the last being in 1906. And that is how South Sea Islanders gained the unwanted distinction of making up the largest numbers of those executed in Boggo Road Gaol. A small but touching moment provides an epilogue to this article. 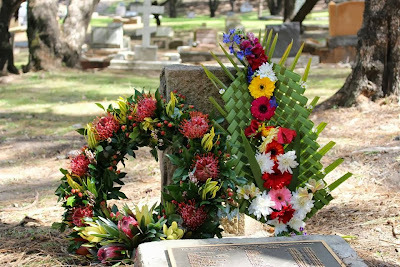 In 2005 I worked with the Boggo Road Gaol Historical Society and Brisbane City Council to install a plaque near the graves of the hanged prisoners in South Brisbane Cemetery. It lists the names of all those who were hanged, and where they came from. Among other dignitaries, an elder from the South Sea Islander community spoke very movingly at the unveiling ceremony. Earlier this year I was taking a tour through the cemetery one night when I noticed a wreath and a bit of paper with writing on it by the plaque. It had been left there by "A.S.S.I.S. ", which on further investigation turned out to be the Australia South Sea Islander Secretariat. 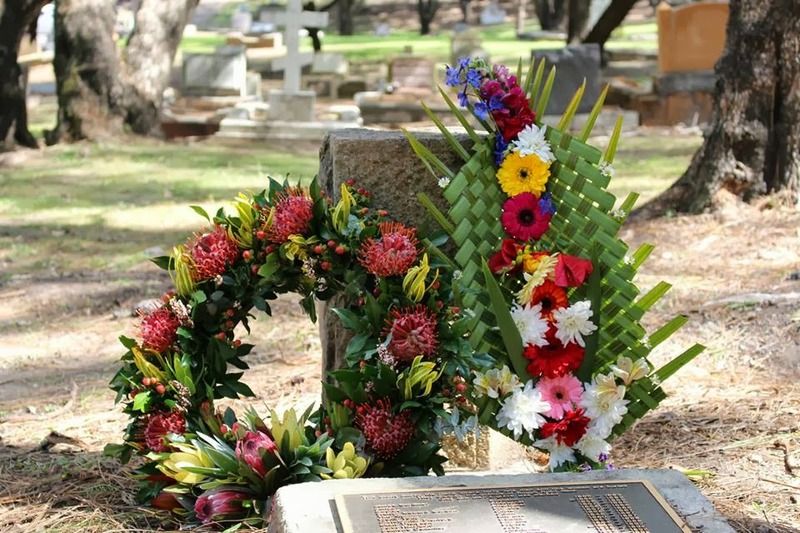 This year is the 150th anniversary of the arrival of the first Islander labourers in Queensland, and it seems the eight men who died on the Boggo Road gallows were not to be forgotten.